Since the beginning of the computer age, people have always enjoyed making computers talk to them. These days, that functionality is built right into Windows and you can easily use it to have your PC read documents to you. Using the text to speech functionality of your computer can save you a lot of time if you need to study for tests, read books, review reports, or if you are just feel like listening instead of reading. While the voice may sound computer generated, there is always the option of downloading new SAPI-compatible voice profiles from various sites on the Internet, though most of them aren’t free. Most Windows PCs are equipped with at least two American English voices (one male, one female). Many computers also offer a variety of voices that are fluent in different languages. By accessing the settings through your control panel, which we will discuss later on, you can adjust the pitch, speed, and volume of your computer’s SAPI voice. In this article, we’re going to cover how get your PC to interpret the two most common types of documents most people use—PDFs and Word documents—and speak their contents to you. We’ll also talk a bit about fine-tuning your PC’s voice. Adobe Reader is the default choice for many people for viewing PDF files. While it Adobe Reader became bloated over the years, recent versions are better and fairly pleasant to use. Adobe Reader can also read documents to you. If you don’t already have Reader installed, head to the Adobe Reader download page. Make sure to uncheck their optional McAffee downloads, and then click the “Install Now” button. Note: Adobe Reader also installs browser plugins to integrate PDF tools into your browser. If you prefer not to use that, you can follow these steps for disabling plug-ins in your web browser of choice, disabling the “Adobe Acrobat” plug-in. 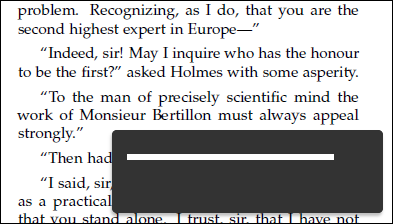 When you’ve installed Reader, open up a PDF file that you’d like the computer to read to you. Open the “View” menu, point to the “Read Out Loud” submenu, and then click the “Activate Read Out Loud” command. You can also hit Ctrl+Shift+Y to activate the feature. 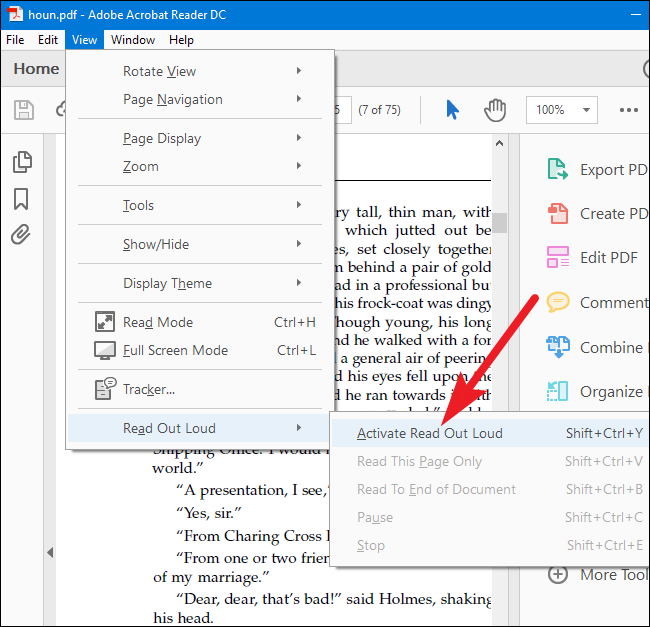 With the Read Out Loud feature activated, you can click a single paragraph to have Windows read it aloud to you. A progress bar appears on screen to let you know how far through the selection you are. You can also choose other options by returning to the View > Read Out Loud menu. There, you can have Reader read the current page, read from the current location to the end of the document, or pause, stop, and play the reading. You can also deactivate the Read Out Lout feature if you’re done with it. 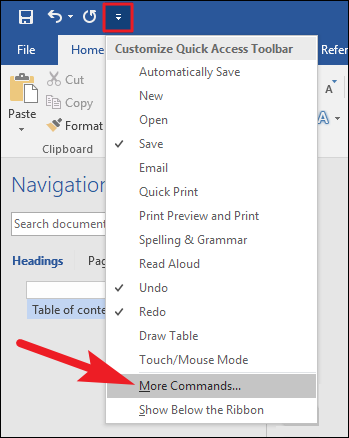 If you have .doc, .docx, or .txt files that you want your computer to read to you instead, you can do that right in Microsoft Word. 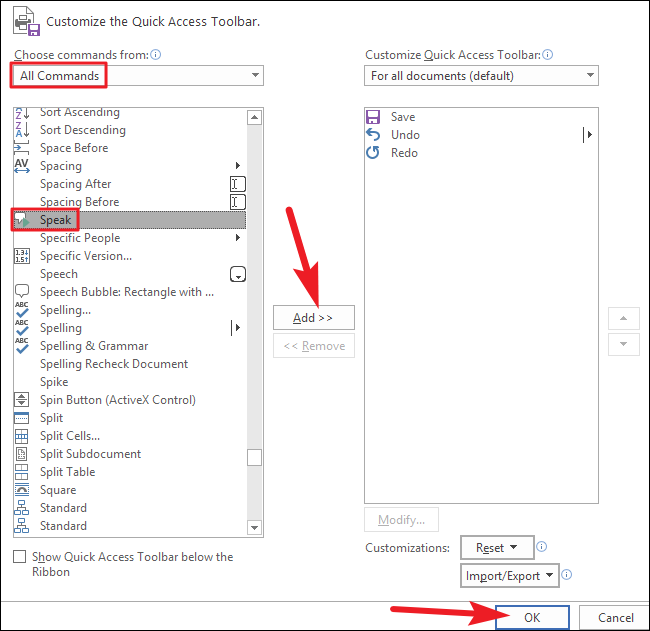 It’s easiest to start by adding the Speak command right to the Quick Access toolbar at the top of the Word window. Click the small down arrow at the right of the Quick Access toolbar, and then click the “More Commands” option. In the “Word Options” window, click the “Choose Commands From” dropdown, and then choose the “All Commands” option. On the list of commands, scroll down, and then select the “Speak” command. Click the “Add” button, and then click “OK” to close the window. If you look at the Quick Access toolbar, you’ll see that the Speak command has been added (the small “message box” icon with a play symbol). In your Word document, select some text. 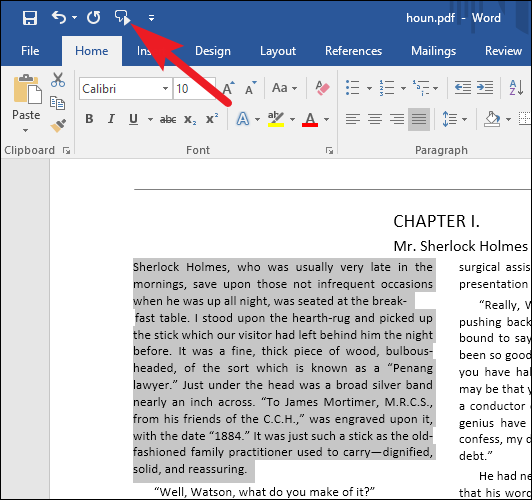 You can select a word, paragraph, entire page, or just hit Ctrl+A to select the whole document. Click the “Speak” button you added to have Word read your selection to you. 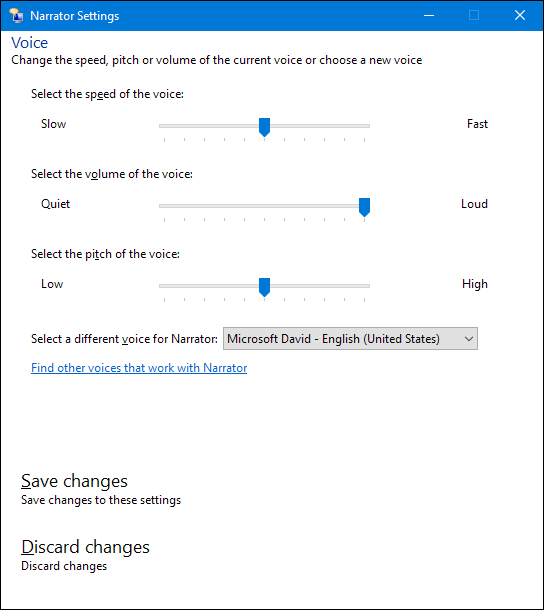 If your computer’s speech sounds too computer generated, or if it speaks too quickly, you can adjust the settings. 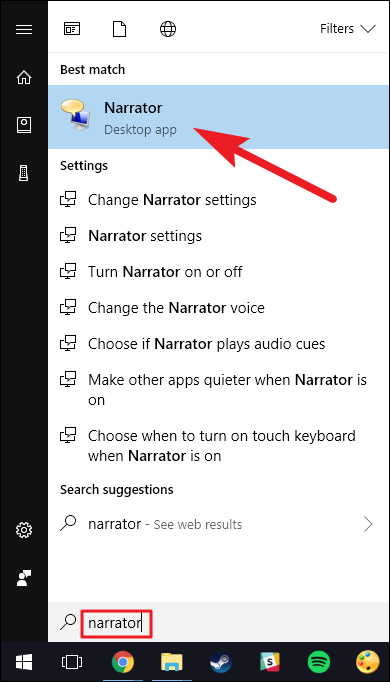 Hit Start, type “Narrator” into the search box, and then click the result. Note: While you have the Narrator tool open, Windows will read out loud everything you do—every thing you click or type, window titles, everything. If it bugs you while you’re configuring settings, just mute your PC. 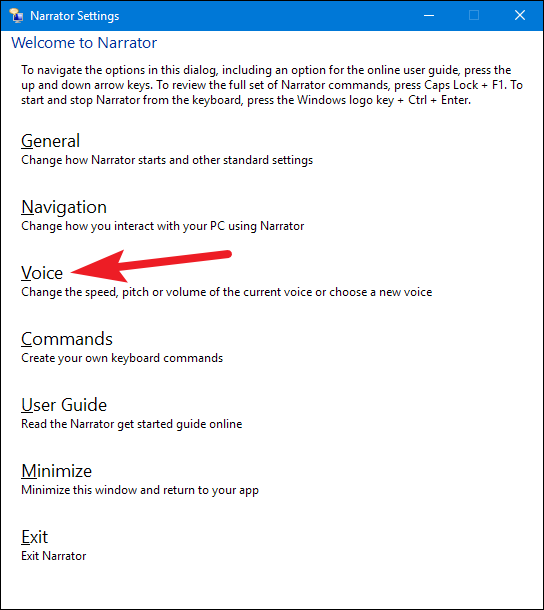 In the “Narrator” window, click the “Voice Settings” option. On the “Voice” page, you can set the voice speed, volume, and pitch to your liking. You can also choose different voices you have installed. When you’re done, close the Narrator tool (so that it’s not reading everything to you) and go test it out in your PDF or Word document. You can also use Narrator to read other types of documents (like web pages) to you. It can be a bit clunky to work with, since it wants to read everything (including interface text) to you, but you might find it useful at times.